We’ve been experiencing some big changes around the Briteskies offices lately! With new customers, projects, and challenges developing over the past few months, we’ve needed to expand our team. 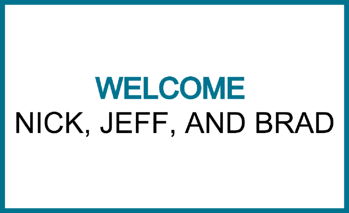 Please join us in welcoming the newest members of Briteskies: Nick, Jeff, and Brad. 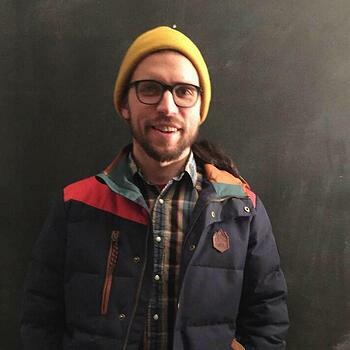 Nick joined the Briteskies team after hearing about the position from fellow Magento Developer Sam. They had previously worked together and when the opportunity arose, Sam knew Nick would be a great candidate for our Magento team. Originally from Cleveland Heights, Nick’s interest in the tech industry started as a kid when he wanted to become a game designer. Since then, Nick earned his Bachelor of Science in Computer Science from Edinboro University and has spent his career solving client problems. “I love debugging things. Anytime there’s an unexpected problem, I like to solve it. Of course you want to see things go smoothly, but it gets boring if it’s too smooth,” Nick said of the tech industry. While solving problems was Nick’s main draw to the tech industry, he likes to see new clients take their sites live and helping his team progress. He also likes being forced to keep up with the new developments of the industry and likes the ever-changing aspect of it. Outside of the office, Nick spends time with his wife of almost five years and their corgi, who you can follow on Instagram here. He enjoys playing guitar, reading books of the fantasy genre, and playing video games. He confesses that he is a recovering World of Warcraft addict. 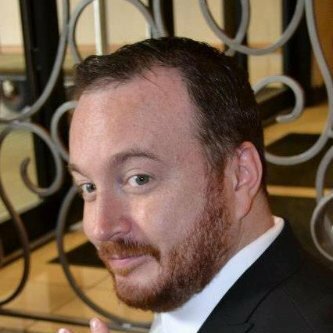 U.S. Marine Corps veteran Jeff Judy has joined our JD Edwards team as a Senior Developer. Born in raised in nearby Canton, Ohio, Jeff has traveled the world with the USMC. After spending ten years stationed in places including Hawaii, Okinawa and mainland Japan, Thailand, Philippines, Mexico, and Dominican Republic, and serving in Saudi Arabia during the first Gulf War, Jeff entered the tech industry. Jeff was first introduced to the tech industry in high school, where he took computer programming classes and discovered his aptitude for programming. After his years serving in the USMC, Jeff worked in a host of different IT positions. Outside of work, Jeff enjoys golfing, although he admits that he isn’t very good, watching military documentaries, and reading non-fiction books regarding current events in the US. Jeff also enjoys spending time with his wife, daughter, and two cats, Tink and Tank. Originally from Lorain, Brad is a graduate of the We Can Code IT coding boot camp. We Can Code IT is a social technology education organization that offers coding boot camps to help anyone seeking a career in the tech industry get the training they need. With full-time and part-time boot camp offerings, students are fully certified and ready to enter the workforce in either 12 or 25 weeks. Despite the crash course, Brad still feels that he has a lot to learn and is excited to dive in with this new position. Welcome to all three of our new team members! We're looking forward to seeing what you bring to the team. If you're interested in joining the Briteskies team, contact us.